Acadian researchers at l'Université de Moncton have discovered a list of 289 names of Acadians who were living on Prince Edward Island in 1763, but they're still trying to reach a consensus about what exactly the rare list was for. Archivist Regis Brun discovered the misfiled document among the personal files of a French diplomat. Regis Brun, an archivist at the university's centre d'etudes acadiennes, believes it's a list of Acadians held prisoner by the British at Fort Amherst, now a historic site on the shores of Charlottetown Harbour. "It's a one-of-a-kind document," said Brun, who has been working as an archivist for 50 years. "In that same year, we had the list of Acadian prisoners at Fort Beausejour, at Saint John, New Brunswick, at Halifax...They were known, they've been published, but there's one at Fort Amherst, it had disappeared in thin air." Brun found the list among papers sent to him last week by an American in the Boston area who wanted to trace his Acadian roots. It had been misfiled in a French archive in Paris among the personal papers of a French diplomat, the governor of Santo Domingo, from the 18th century, he said. It's a missing link in the paper trail of people the British wanted to keep an eye on, and of who needed to be fed, said Brun. "It's all the Acadian family names  the Boudreau, to the Leblanc, Cormier, the Arsenault, the Doucet, Chiasson are all there," he said. However, Stephen White, a geneaologist at the centre, thinks the list could be a petition to the French king. At the end of the so-called Seven Years War, the French were inviting Acadians who had been deported to settle in French colonies, mainly in the Caribbean, Santo Domingo and Haiti, said White. "These people were aware of that, but they hadn't been invited, but they believed they were qualified. And the cover letter says 'We're the same as these others and you invited them so we want to be invited to move to French territory as well because we've always been French loyal subjects in French territory' because they lived in Isle St. Jean," he said. "The document lists the different places where they live - St. Pierre, St. Peters today; Baie Fortune, which is Rouleau Bay, or that area, and Le Moulin a Vent, which is Savage Harbour; Tracadie, which is still Tracadie and Rustico, which is spelled a little different today. And there's a whole bunch of people, 17 households from the Magdalen Islands." Similar letters have been found from Acadians in Pennsylvania, Maryland, Halifax, South Carolina, Boston, and New York, said White. Regardless of its origin, the document is valuable because, unlike most of the other lists of the day, it gives the names of the husbands and the wives, as well as the number of children they had, he said. With so few Acadian family names, being able to cross reference the wives' maiden names makes it a lot easier to trace ancestries, he explained. Brun agrees. It allows researchers to pinpoint the presence of certain families on the Island, he said. "In history, you make hypothesis, but hypothesis is nothing like the real smoking gun, as Nixon would say. "You have the document, there's Charles Arsenault and the name of his wife, Jeanne Chiasson. There's the name and he's there in July 1763." Many of the names can be traced directly to people in the region, including New Brunswick and Nova Scotia, said Brun. "This one, the Poirier family, who lives in Shediac and Grand Digue still. And the Arsenault, Robert Arsenault, who works with Radio Canada, his ancestor is there. I believe it's Joseph Arsenault, of Francois. You see Francois and Boudreault? So he's descendant from those. And then if you go through the list, the Richard family, the Doucet," he said, trailing off. Brun can also compare the list with other lists to determine how people were being transferred around from the beginning of the deportation to the end of the year, or how they escaped, he said, noting the case of one woman who had a particularly difficult time. "Twelve times in the space of 10 years she moved, her and her husband ahead of the British soldiers. Twelve times in 10 years, this was the history of most of these families in prison." Researching Acadian ancestors can be frustating at times. Now a new list of Acadians living in 1783 in Prince Edward Island has been discovered that may help solve many family mysteries. Acadian researchers at l'Université de Moncton have discovered a list of 289 names of Acadians who were living on Prince Edward Island in 1763. The purpose of the list is unknown. It might be a list of Acadians held prisoner by the British at Fort Amherst, now a historic site on the shores of Charlottetown Harbour. Another possibility is that it is a list those who signed a petition to the French king. Whatever the purpose, the list is now valuable to many Acadian descendants. Britannique avait Envoyé une Lettre a tous Les habitants Francais Demeurants Le long Du côte De Gaspay avec ordre que La Ditte Lettre Fuît transcrite et envoyé Par tout ou il y aurait des habitant François, a faire De Les Ramener sous L'obeisance Du Roy tres chretien, De la quelle obeissance nous ne vous sommes jamais Detourné, Bien au contraire: Nous ayant toujours fait voire En toutes occasions, Fideles serviteurs De votre Majesté Nous prosternant humblement au pied du trone De votre Majesté Nous vous supplions de nous faire Les même Faveurs que vous avez Resolution De faire au Reste De vos habitants Cadiens, et puis que La paix presente nous permet De vous Proclamer Comme notre paix Commun De qui et En qui nous esperons toutes choses apres dire nous vous supplions que Comme etant maintenant presque touts Reduits a la Derniere Extremité et n'étants pas Capable De faire Les frais De voyage de France faute De Bateaux que vous ayez La Bonté De nous envoyer un ou Deux Bateaux pour nous transporter nous et nos Familes partout ou il vous semble Bon, Notre plus Grand Desire etant De Rejoindre notre patris et De nous prosterner En personne au pied Du tronne De votre Majesté suppliant Le Dieu tout puissant De vous combler: De Benedictions aussi bien que toute La Famille Royale et En particulier notre Seigneur Le Dauphin dont nous implorons La protection qui nous Est promise si Efficacement Par la Lettre De notre Seigneur Le Duc De Nivernois, qui nous ayant ordonné De Lui Envoyer une Liste De nos habitants, avons pris La Liberte De presenter celle ci au pied de votre tronne vous suppliant. De jetter sur nous un oeuil De Compassion et De nous admettre pour toujours au nombre De vos serviteurs. That it should please you to listen favorably to the very humble requests of the most humble of your servants, who from the greatest depth of their hearts beg that you should grant them your protection: having become aware that your Ordinary and Extraordinary Ambassador had sent to the British King a letter to all the French inhabitants living along the Gaspé coast, with order that the said letter should be transcribed and sent to all where there would be any French residents, to cause to bring them back under allegiance to the very Christian [French] King, from which allegiance we have never wavered, indeed to the contrary: We having always been in truth on all occasions, faithful servants of your Majesty, we kneel humbly at the foot of the throne of your Majesty. We beg you to give us the same favors which you had resolution to make to the rest of your Acadian residents, and since the present peace permits us to proclaim to you as our common peace, from whom and in whom we hope all things to pray, we beg you that as being now nearly all reduced to the last extremity and not being capable of paying the cost of a voyage to France, despite some ships that you have the goodness of sending us, one or two ships to transport us and our families wherever it seems to you to be good, our greatest desire being to be rejoined to our native country and to prostrate ourselves in person at the foot of the throne of your Majesty, begging the all-powerful God to bless you: Of the benedictions as well as that of all the Royal Family, and in particular my Lord the Dauphin, of whom we implore the protection which was promised us so effectively by the letter of my Lord the Duke of Nivernois, who having arranged for us to send him a List of our residents, we have taken the liberty of presenting that here at the foot of your throne [as] your supplicant. Cast upon us a compassionate eye and grant us always the name of your servants. 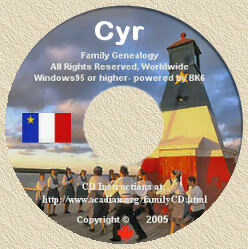 Above posted on the Acadian and Cajun Genealogy, History, Culture and Musice Facebook Group.